Today’s agent is challenged to fitting in the latest education in an already very busy schedule. RE/MAX Advantage is committed to supporting the market’s best agents. It’s one reason why our agents are among the most productive in Las Vegas with more than 18 closed sides per agent average. We have great education available 24 hours a day, 7 days a week on YOUR schedule not ours. Look here and look at our upcoming calendar. RE/MAX University! Agent Training on Demand (ATOD) offers more than 1200 videos streamed to you computer, telephone, or TV! Elevate your accumen on Listings, Buyers, Prospecting, Technology, Designations, and more! 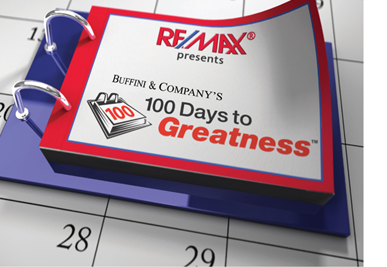 Brian Buffini, Howard Brinton, Craig Proctor, Richard Robbins, and our RE/MAX agent peets train our agents here! Watch this quick clip. affiliation. Want 6 new transactions in the next 100 days? That is the average number for this program! Twitter! We tweet pertinent information to our agents as it hits the new waves. Market stats, breaking news, best practices. Gain knowledge on the go! Follow us – click here. Webinar Training! Interactive, topical training at your computer. Hump Day Report! Our company news information release with pertinent news, issues, challenges up to the minute of its distribution. Company Business Meetings. Each month we deliver a 90 minute business meeting complete with company issues, regulatory changes, risk reduction practices, and new business growth opportunities. Here’s what’s on our training calendar. Learn a little or learn a lot – we have something for everything. Feel free to drop us a note and attend some of our education. We’ll reserve you a spot! No muss, no fuss, and no recruiting J.